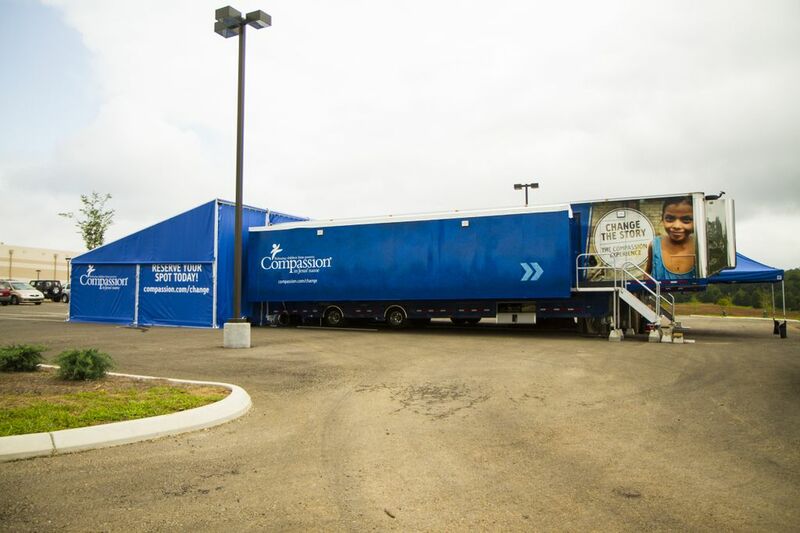 Life Church – Salisbury is proud to serve as a regional host for the Compassion Experience. The Compassion Experience (or CompEx) is provided by Compassion International, and is a 20-minute self-guided tour that will immerse visitors in the lives of impoverished children all over the world. Through the use of an iPod, a headset and 1,700 square feet of interactive space, visitors will see the children’s homes, walk through schools and markets, and hear life-changing stories of hope—all from the perspective of a child whose life began in poverty. This event is appropriate for all ages and is an excellent opportunity for anyone who has never had the chance to travel outside the U.S. to get a small glimpse of what life can be like in developing countries. CompEx is an eye-opening experience, and it’s free! Reserve your spot or volunteer by visiting our website – www.lifechurchnc.com or by calling our church office at 704-633-0880. Spaces are limited and will fill quickly. Compassion International is the world’s largest Christian child development organization. Through our Child Sponsorship Program, Compassion tackles global poverty one child at a time, serving more than 1.9 million children in 26 of the world’s poorest countries.